An easy teapot craft for kids with a free printable teapot template. Tell someone they are tea-riffic and let them enjoy a nice relaxing cup of tea with this easy paper craft. Simply decorate the teapot template and add a teabag. This teapot craft would make a perfect Mothers Day teapot card or it could be used as a thank you teachers appreciation card for a special teacher or childminder. 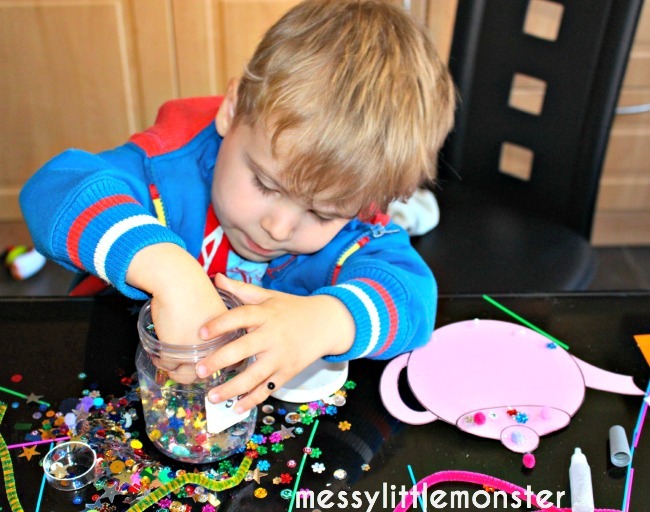 Babies and toddlers could personalise their teapot with paint or by adding fingerprints, whilst preschoolers may enjoy glueing on sequins or adding stickers. 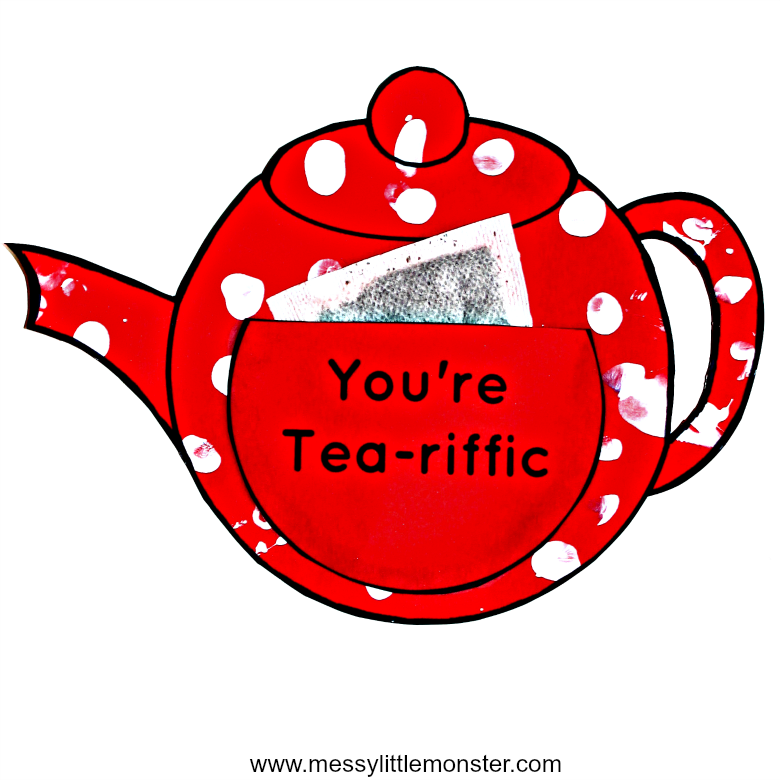 We love making homemade gifts and this teapot card is perfect to be given to someone special, someone who is tea-riffic! Whatever your child's age or ability they can decorate their printable teapot in their own special and unique way. Being given a gift of a relaxing cup of tea is going to be appreciated by any adult! This easy teapot craft would make a really cute keepsake if it is covered with a child's fingerprints. 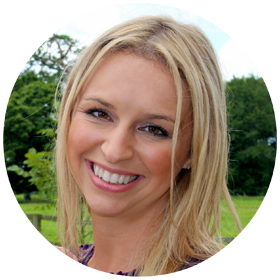 You might also want to take a look at our keepsake ideas to make a small gift to go with your teapot card. Whilst this craft was orignially made as a Mothers Day teapot craft it is great for anybody you think is terrific and it would also work well as an activity to make alongside the nursery rhyme 'I'm a little teapot'. It would be fun to sing the nursery rhyme with toddlers or preschoolers before the children make their own teapot. 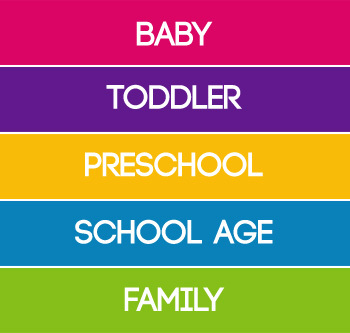 Take a look at all our nursery rhyme activities. See this Mother's Day teapot craft in action! You will need to download and print out the teapot template that is available for free if you scroll down. You could either print the teapot template straight onto coloured card like we did or you may prefer to print it onto white card if you want to add a detailed design across the teapot. Decorate your teapot template in any way you choose. 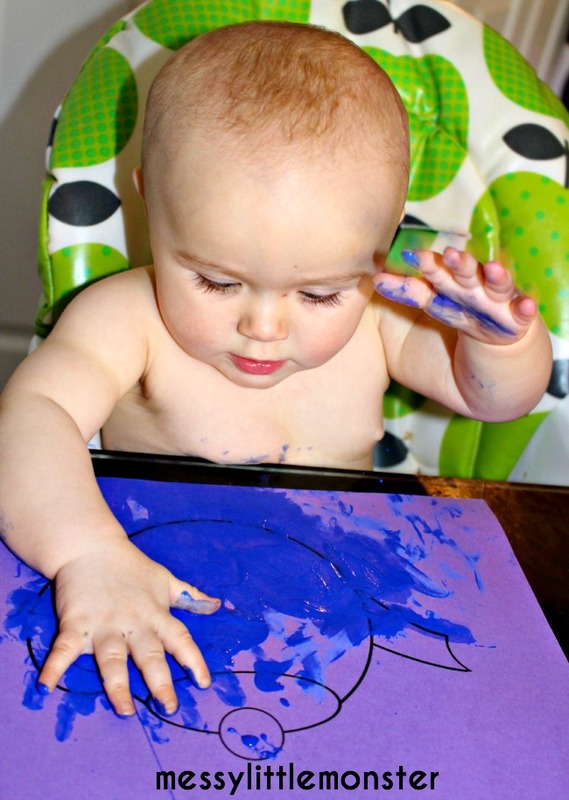 Children can be as creative as they like during this step. I love the fingerprint teapot as I love keepsakes, but I think the children got more out of painting and gluing their own designs. or you could dip your finger in paint and cover your teapot in fingerprints. Once you have decorated your teapot and left it to dry, cut it out and stick a pocket to the front. We have two pockets to choose from. 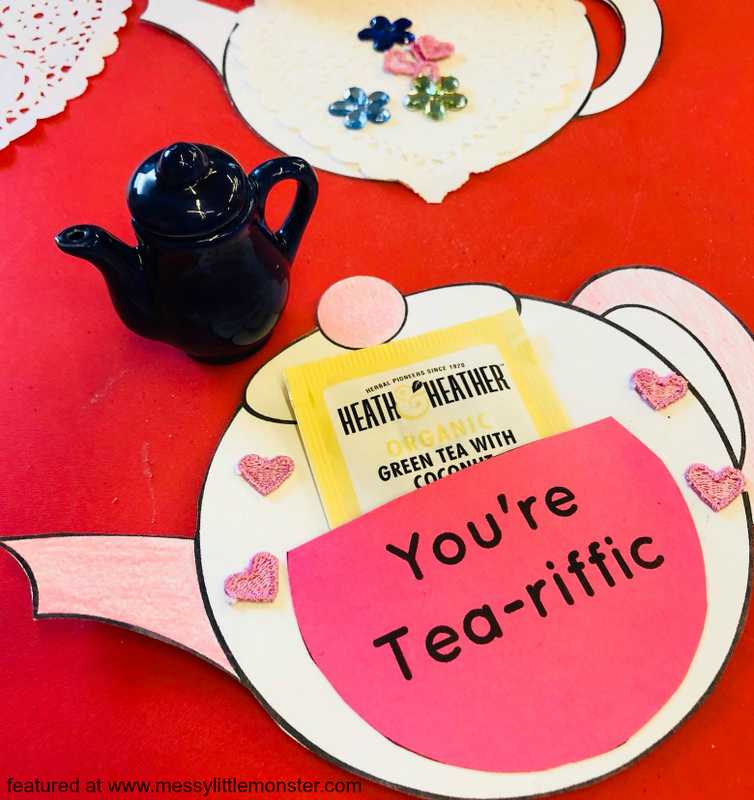 One says 'You're Tea-riffic' which is perfect if you are making a Mother's Day teapot craft and the other says I'm a little teapot, Tip me up and pour me out' which is fun to use if you are making this teapot craft after singing the nursery rhyme. 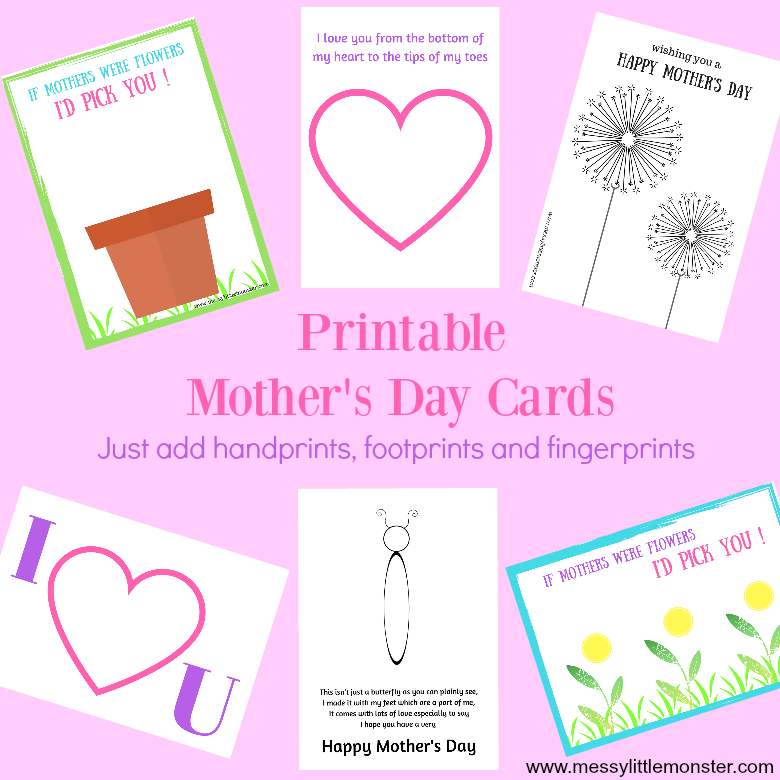 You could also write your own message to make the card even more personal. Place a teabag in the pocket and your teapot craft is ready to be given to someone special. We love this heart version made by Paula Carneiro using our free printable teapot template. What a beautiful gift to give for Valentine's Day or Mother's Day. I'm sure it would go down well as an end of year teacher's gift too! We would love to see your designs. 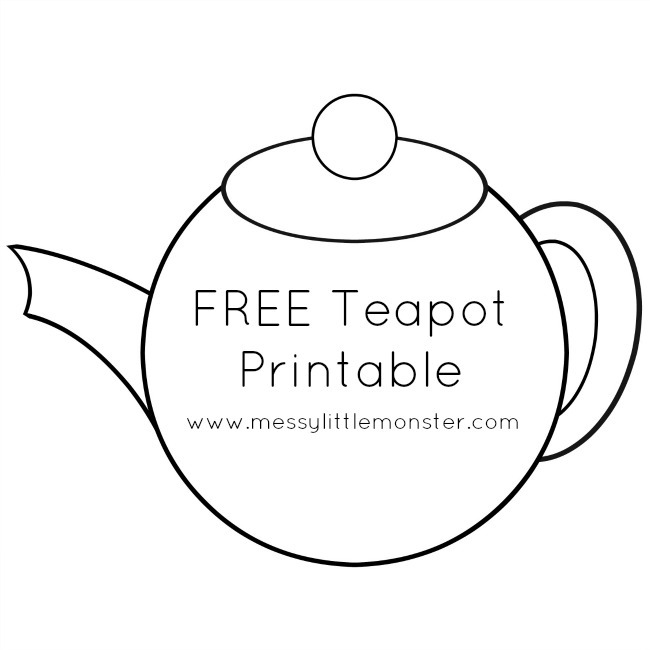 To download and print this teapot template for free use the button below and add the discount code 'messylittlemonster'. For personal use only. Not for redistribution. All images are copyrighted. Thank you. There are so many ways you could decorate your teapot craft. You could use ice paints, Q-sticks, splat painting or even make them using a no mess art technique. Take a look at our other gift ideas that kids can make. We have an ever growing collection! 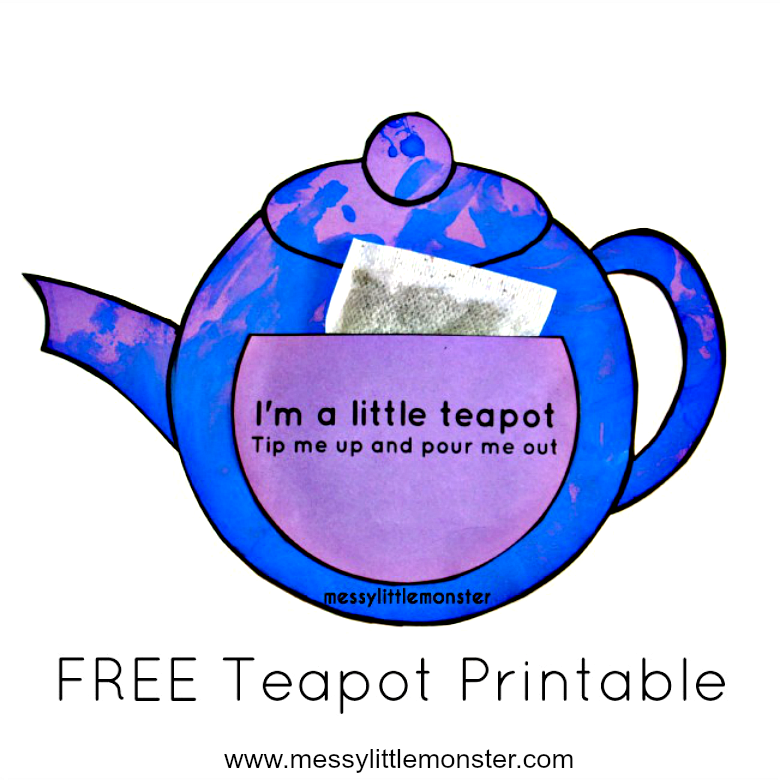 If you are looking for more 'I'm a Little Teapot' inspired ideas check out these: teapot magnet, teabag sensory fun, paper plate rocking teapot. We hope that you have lots of fun with the teapot craft for kids that we have shared today. Whether you use our printable teapot template to make a Mother's Day teapot craft or as an 'I'm a Little Teapot' activity we hope that you have lots of fun with your toddlers and preschoolers.